It’s symbolic, but it’s also about time we saw something like this. To myself, it is just intuitively clear that they are as we are. A declaration like this will not change anything overnight. But, that many people are coming around, and in time I believe that to all others it will become knowledge that needs not knowing, because we will be building our understanding of the world atop the kernel understanding of life, of what we are, and what that means to we humans. I ate chicken this evening, along with some veggies and rice. It was delicious. In my thoughts on the subject of life, of being, I almost stopped eating meat. I had come to a thought in the morning, and thankfully by lunch I had changed my mind. I saw that life consumes life, and that I had no real problem with that (not to say that I couldn’t be wrong in this respect, but that I do not know it). What I do have a problem with, as anyone with half a mind on the subject, is that the evil is in the means by which most of our meat is procured; it is humiliating, terrifying, and it gives no respect to life. I feel that we can eat animals, but we certainly cannot be taking from the planet, and treating other forms of life so poorly, as we are. I encountered a young lady not long ago who ordered an omelette, specifically a meat-free omelette (“no ham, please”). After making a joke, asserting that perhaps she was more sympathetic to the plight of the pig than that of the chicken, she told me that eggs were okay because the flesh is not fertilized. It’s tragic. That our intelligence can be such that we know what we are doing is wrong, and yet we go on. Isn’t that tragic? That life would be this unthinking force that moves like a blind man or a dog with its nose to the ground, but that we would have the minds to contemplate our doom, and to be aware both of it and the real potential within us to do something about it. I do not mean the R word, no I mean a change in thought for all the people of the world. In time it will come. Similar to the lady who abstained from fertilized flesh, some people abstain from land and air creatures, and instead consume those in the sea. But, life is life. And though the popular slaughter-houses are those for mammals and fowls, a great unseen horror is upon the sea. Beyond our warfare, our sonar (link), there is our endless hunger, the over-fishing of the seas. And another terribly sad film, Earthlings. Sorry for all the bad stuff. But perhaps that’s why we are here… to be both great, and to put that greatness to work in stopping ourselves from carrying on like complete assholes. I believe we can both have our civilization, our fruits of intelligence, and be at peace with the rest of creation. 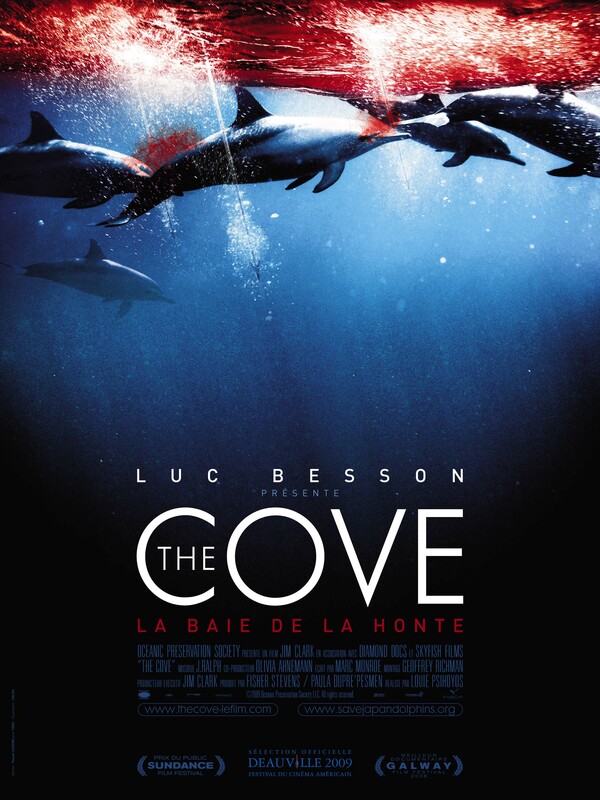 This entry was posted in 2013, animals, Being, consciousness, documentary, film, Life, Uncategorized and tagged animals, being, documentary, ethics, film, humanity, life, overfishing, the cove. Bookmark the permalink.